A large chunk of Toronto’s population today is immigrant population. They may have come years ago, decades ago or centuries ago, but each immigrant brought with himself a part of his culture, cuisine and tradition. And this makes Toronto an amazing place to experience the world. 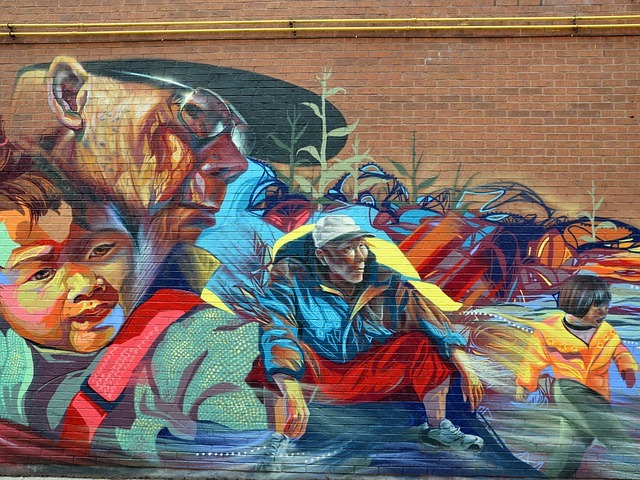 You don’t need to travel miles across the Canadian landscape to behold this co-existence of diverse cultures. It all comes perfectly wrapped up in the compact space of Downtown Toronto, neatly divided and labelled in fact! I am talking about the sheer variety of neighbourhoods in Downtown, each with its very own unique flavour. If you ever visit this side, do make sure you have a city map or Toronto Transit Commission map in hand, so that you can go nation-hopping without getting lost! On the Spadina Avenue, about mid-way between Lakeshore and Bloor Street thrives the bustling Chinatown. This is in fact only the face of the town, which further permeates into alleys and lanes in the surrounding areas. Saunter down this neighbourhood and you will feel you’ve been transported to China! You will rub shoulders with the Chinese strolling through these streets and be addressed in their language when you enter a store. Banners and signs carry their complex characters, while restaurants in this quarter will lay out an array of Chinese cuisine. If you’re looking for a great bargain, you are in the right vicinity. Your jaw will drop at the amazing deals on clothes. The sight of “5 for $10”, “3 for $10” and “2 for $20” means a passer-by will surely stick her hands into the cloth-racks at least once to check if something catches her eye. As compared to the rest of Downtown, this neighbourhood has the cheapest haircuts, the best prices on exotic fruits, amazing deals on electronics and accessories and apparel at rock-bottom prices. Also known as K-town or South Korea, this neighbourhood is nestled along Bloor Street. Start at the crossing of Bathurst Street and Bloor Street and walk east to explore this zone. 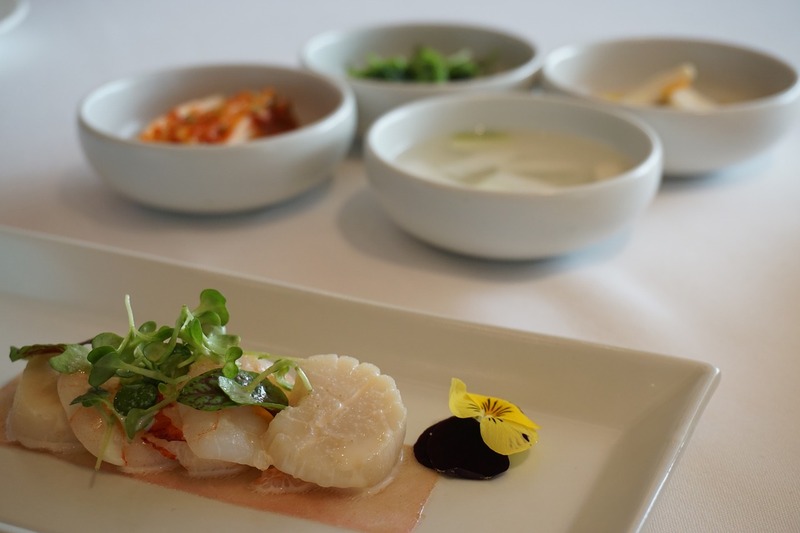 Don’t miss the chance to experience authentic Korean cuisine in the restaurants here, while the more adventurous gourmets among you can experiment with an assorted selection of sea-food. You could also walk into one of the many groceries in Koreatown to pick up some fresh vegetables or surf the shelves stacked with a variety of Korean sauces. Also known as Little India, Gerrard Street is home to Indians, Pakistanis and Bangladeshis. Since its located at a distance from core Downtown area, you would need some form of transport to get there. A 506 TTC Streetcar from College Street headed east is your best bet if you’re looking for public transport. From lehengas and sarees to chutneys, masalas and mithai, this neighbourhood is a must-visit for South Asians. If you’re not Asian, but would like a flavour of Indian gastronomy, this is your destination. From Lahori kebabs to chicken tikkas, motichoor laddoos to mouth-watering gulab jamuns, you’ll find it here. 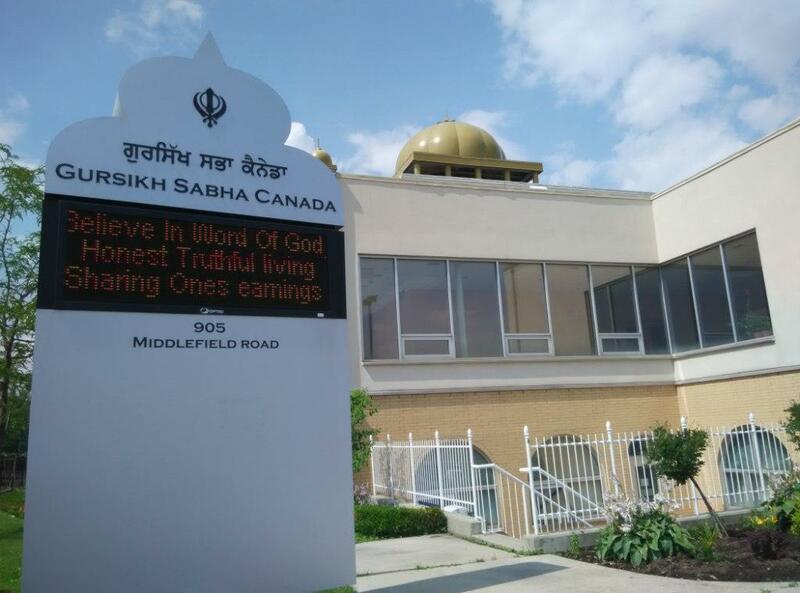 If you have the time and are willing to make the effort however, try heading to Brampton, which is no “little” India, but a maximized version of Gerrard India Bazaar. This neighbourhood will transport you to the Punjab region of Asia, replete with its delectable food, massive Gurudwaras and salwar-suit clad Indian/Pakistani ladies. West of Downtown, along the College Street is the ethnic enclave of the Italians. 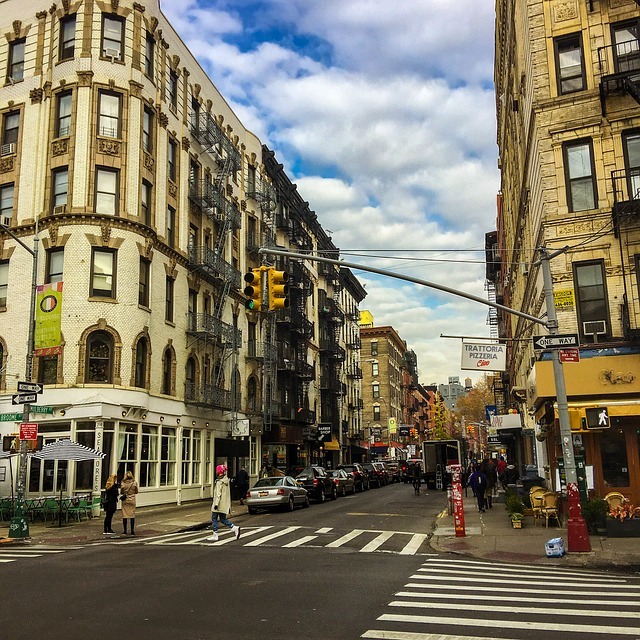 From hippy restaurants with patios to bars buzzing with life, sidewalk cafes that serve steaming barista coffees to Italian ice-cream boutiques, this place is aptly names “Little Italy”. If you’re looking to meander along the streets of Toronto well into the wee hours, this is where you will find a vibrant and bustling nightlife. For those of you inclined to do a bit of sight-seeing, besides indulging your taste buds, this quarter is home to a number of beautiful churches: Church of St Mary Magdalene, College Street United Church and a few others. You may also walk down the Italian Walk of Fame, celebrating the successes of people of Italian origin. Claiming to be one of the largest Greek neighbourhoods in North America, Greektown on the Danforth, is situated on the Danforth Avenue between Chester Avenue and Dewhurst Boulevard. Easily accessible within Downtown Toronto, this sector is brimming with Canadian Greeks and tourists alike. 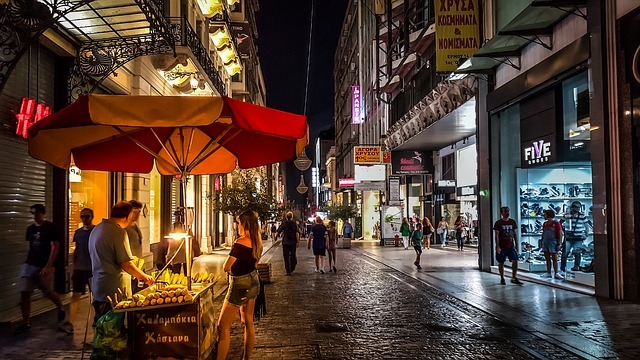 Whether you drop in at one of the numerous restaurants here for a taste of Greek cookery or arrive to experience the feeling of being in a cosmopolitan European town, Greektown will not disappoint. Saunter under the Greek flags and signs lining the lanes here or sit in an open patio and soak in the atmosphere, but do spend some time in this pulsating quartier. If you happen to be in the vicinity in August, you must catch their grand annual food festival, ‘Taste of the Danforth’. Spoil yourself silly with the epicurean delights of this event, while losing yourself in some amazing musical performances from around the world. Once again situated in prime Downtown area, the Portugal Village can be found on Dundas Street West between Shaw Street and Rusholme Road. Not only is it home to denizens of Portugal, but to immigrants from a range of Portuguese speaking countries like Brazil, and also a fair distribution of Vietnamese, Chinese and Spanish. 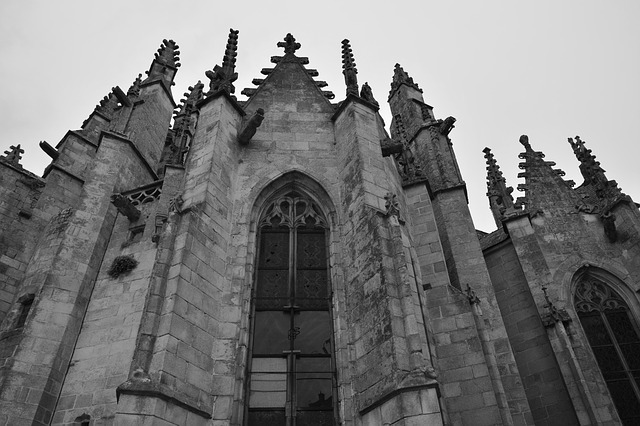 A visit to this area will transport you back in time as you stumble upon ancient churches, quaint bakeries, lovely art galleries and mid-century homes. For the modern visitors, Little Portugal has storefronts, restaurants and a perky nightlife. A must-do in this neighbourhood is to visit one of the two famous bakeries, Nova Era and Caldense, to savour the Portuguese custard tart delicacy, also known as the Pasteis de Nata. While I have listed the more famous ethnic neighbourhoods near Downtown Toronto, the city is teeming with many such settlements. So when you are here, do make the most of this unique opportunity, rubbing shoulders with people from all walks of life and experiencing cultures spanning the globe! Previous Post When All Our Licenses Failed to Convince Canada that We Could Drive! Next Post When You Immigrate and Miss the Maid More than the Family!